Move over energy bars and candy: these little bites of energy are the perfect afternoon snack and pick-me-up. They are so simple to make and if you make a generous batch, you can keep them in your fridge and snack on them throughout the week. 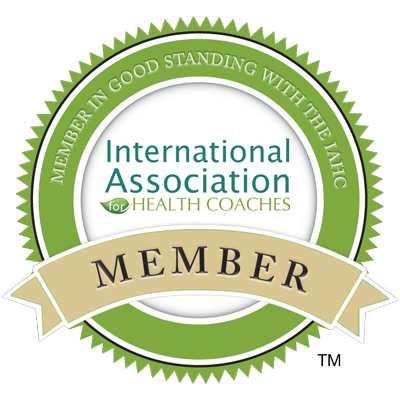 My spring and early summer detox group have been enjoying them so much, I think they are addicted to these already! I recommend eating two or three as a snack. Put all ingredients except for the shredded coconut into a food processor. Blend until well-combined, about 1-2 minutes. Add in shredded coconut and process for another 30 seconds. 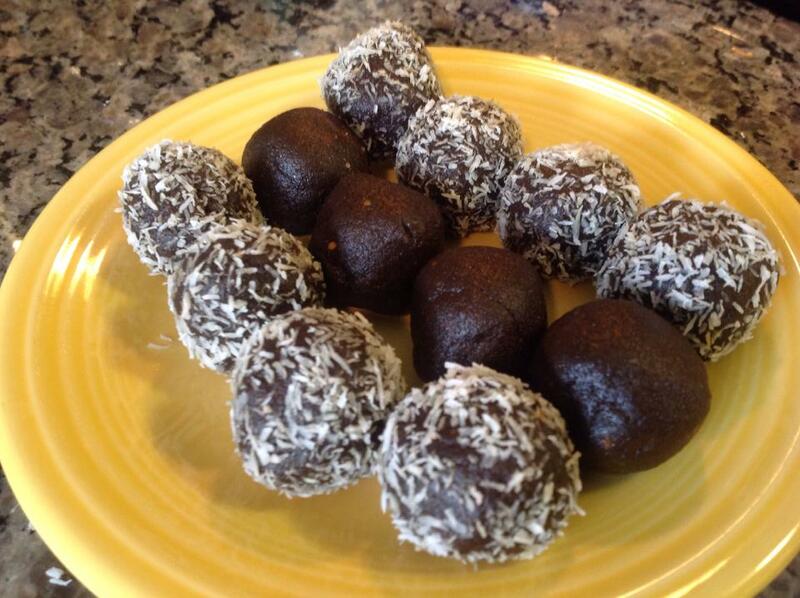 You can roll the balls in cocoa powder or shredded coconut to make them look pretty too! 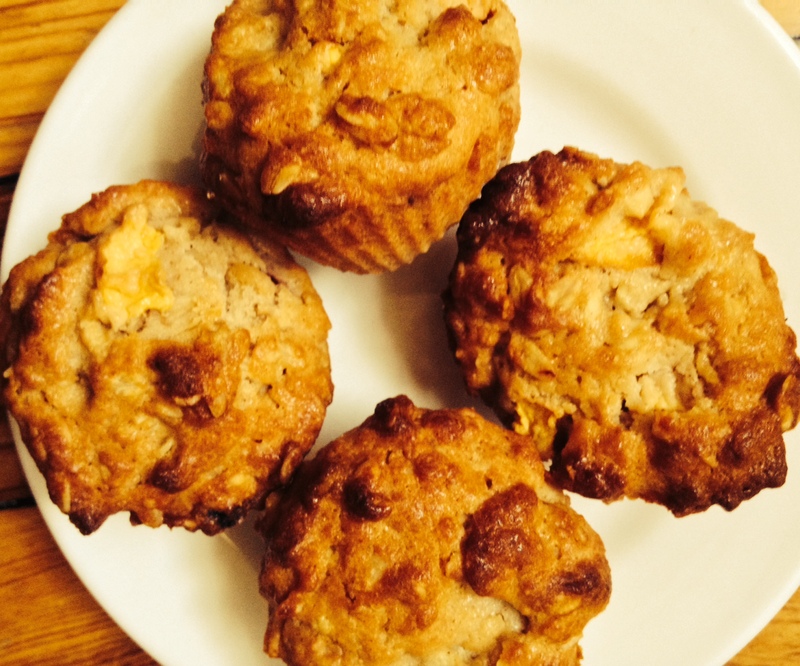 Adding a walnut or almond on the top is also delicious and nutritious. 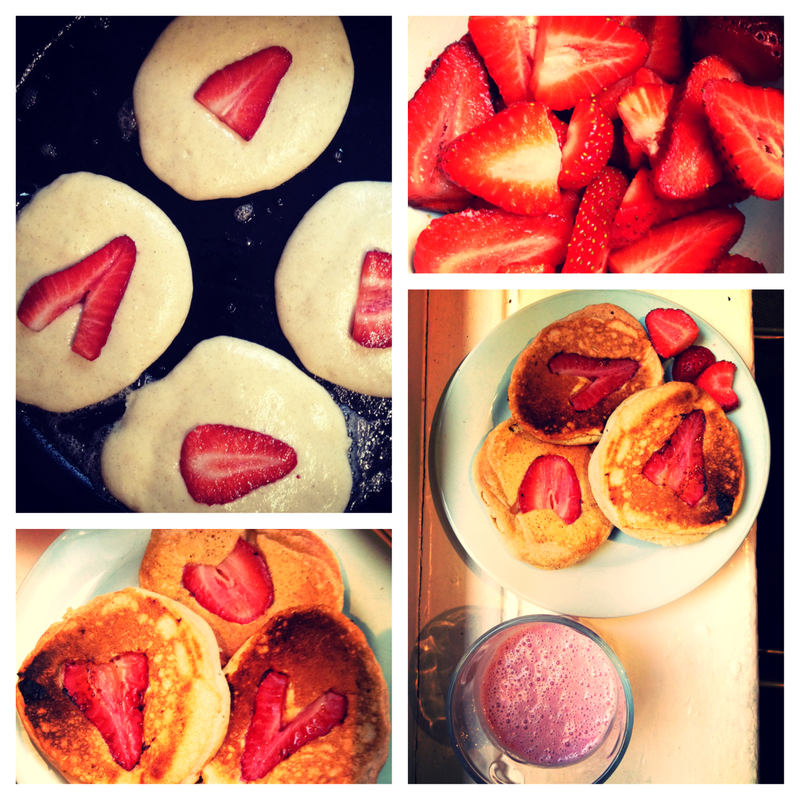 Here’s an easy breakfast for your little sweeties for Valentine’s morning: strawberry heart pancakes. My kids loved helping me make them this weekend. The strawberry slices look just like hearts and cook up beautifully in the pan in the pancake batter. Serve with fresh strawberry slices and a pink smoothie and everyone will love you. This morning, I was faced with six beautiful bosc pears sitting on my new kitchen counter top. They had been there for a few days and were still not ripe. I didn’t want them to get to that stage where they just shrivel or turn out to have deep black spots so I can’t even enjoy them. What’s the secret to ripening pears? I don’t know. Anyway, I remembered how my mum loves to make compotes throughout the year with different fruit she has and how delicious they are. I thought a compote would be the ideal recipe for these pears. 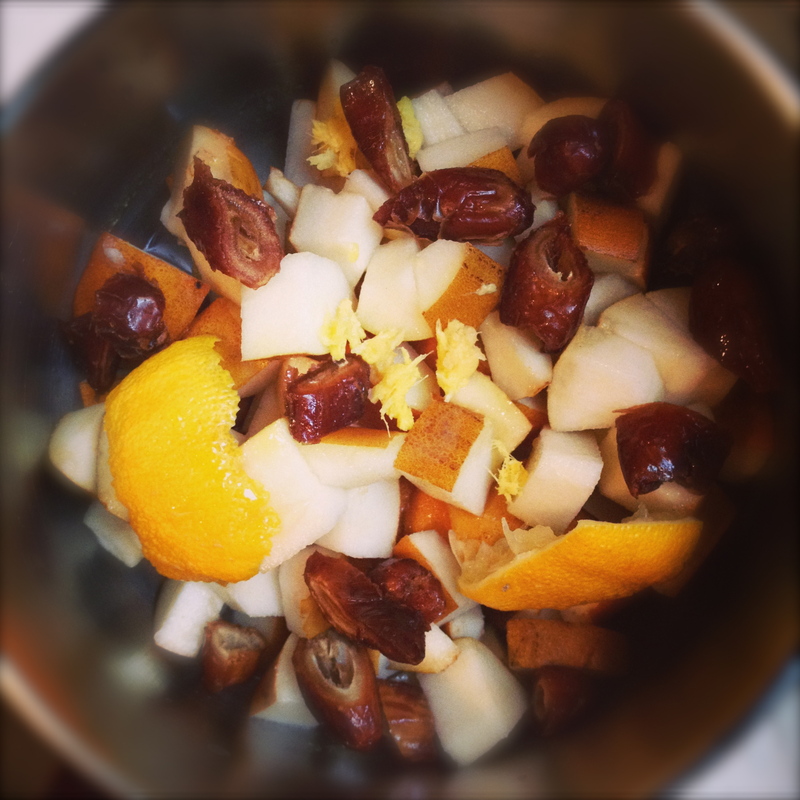 So I grabbed some fresh ginger, lemon, dates and a pinch of cinnamon and this compote was born. It’s pretty simple to make, takes 10-20 minutes and you can make a big batch to last all week in your fridge. And the ginger and lemon flavors blend perfectly with the pear. Great chilled or warm for breakfast with a side of granola or greek yogurt; for a morning snack; or for dessert with a tad of vanilla ice cream. 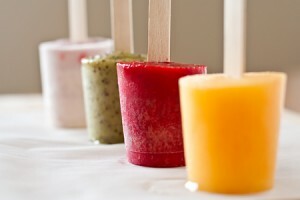 Kids love it too and it’s a delicious alternative to sugary yogurts or sickly sweet desserts.